Completely recover files and data from damaged hard drives with HDD Recovery Pro. Supporting FAT, NTFS, Ext2, Ext3, Ext4 file systems from under Windows, HDD Recovery Pro uses the most sophisticated recovery algorithms. Even if your disk is completely inaccessible after a crash, HDD Recovery Pro scans your hard drive for damaged partitions to locate and recover files from missing partitions. 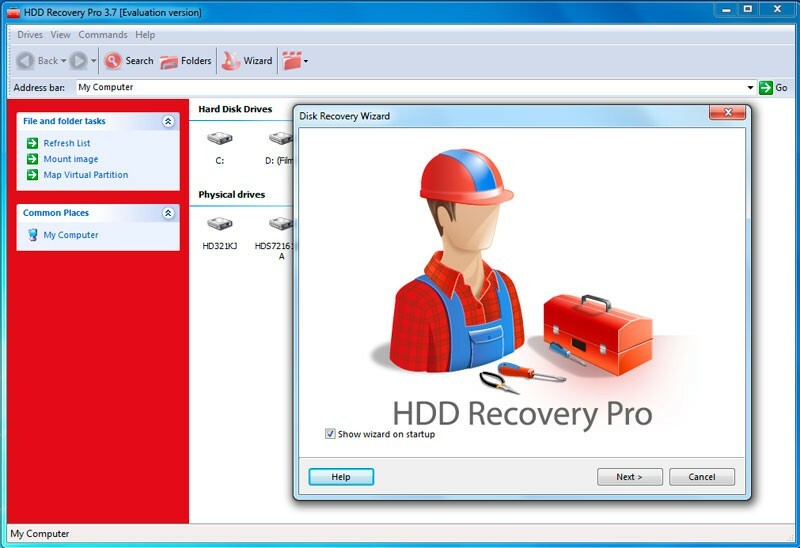 HDD Recovery Pro recovers lost data from disks suffering from many of the most common hard drive failures, including damaged or corrupted drives, inaccessible disks, damaged or corrupted partition tables and file systems. It restores deleted files and recovers data from formatted disks, flash cards and cameras. The unique Live Preview feature allows you previewing more than 150 file types before undeleting, ensuring the correct recovery. Live Preview allows selecting the least damaged files for recovery, or choosing the latest versions of saved documents to restore. If you have lost information after a hard drive failure, you may still be able to recover all or most of your files and documents without knowing anything about file systems, partitions, FAT or NTFS volumes. HDD Recovery Pro automates entire process of data recovery after your hard drive fails, or if you accidentally format it, or even if you simply delete a file or a folder. Accidentally formatted a hard drive? No problem! HDD Recovery Pro will look for formatted partitions, letting you choose files you want to salvage. Thinking of priorities? HDD Recovery Pro does it, too! Prioritize the recovery of important office documents, ZIP and RAR archives and pictures before you start working on Windows and Office installations.